The WannaBeatles, like our Liverpudlian models, are a band of four members who've been playing together for years and can't imagine any member being added or replaced. 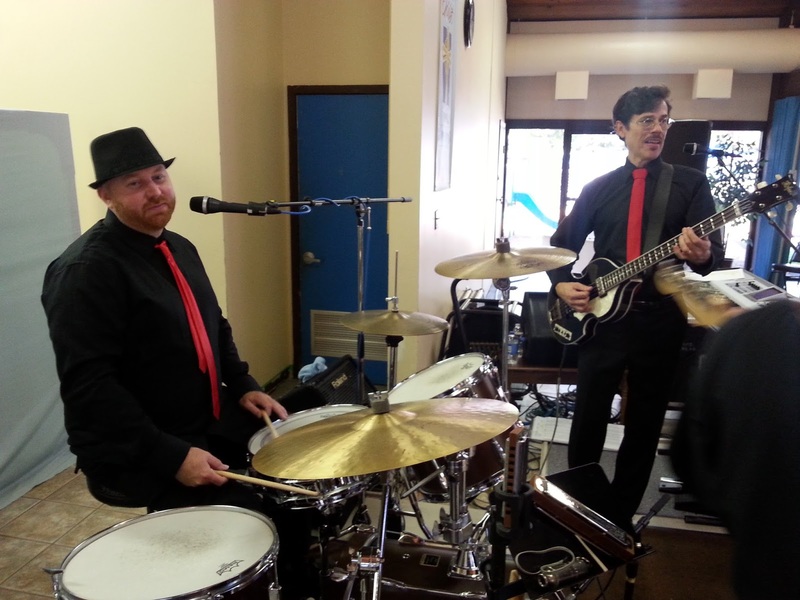 But also like the Fab Four, we have gigs which sometimes may require a bit of improvisation. Our most recent blog (Cadiz Ky posted 12/28/15) reported the death of WannaBeatle David's father, which required him to leave for Florida for a week. That meant he would be out of town for two gigs that were already scheduled. One might assume that a death in the family would constitute a valid reason for declining to play. 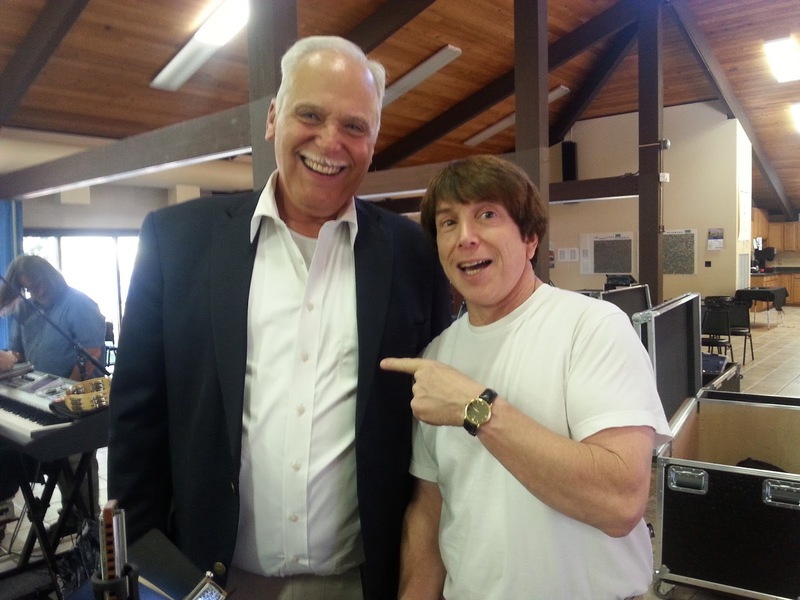 But WannaBeatle Dennis is our onboard ShowBiz Trouper, whose very DNA resonates with the motto "The Show Must Go On." And so he followed the footsteps of Brian Epstein, who was faced with a similar problem in June 1964. That was when Ringo got sick and couldn't play for the Beatles' first world tour. And so they recruited another drummer to fill in. Jimmy Nichol is his name. He learned their songs and joined them onstage for 8 shows that month from Holland to Australia, until Ringo recovered his health and rejoined the tour. And so, we had an historic precedent, and only a day to prepare, since David left on Saturday morning, and our next show was Sunday afternoon. The man who filled David's WannaBeatle boots is John Salaway, who had played with another local Beatles tribute band called Mystery Trip, besides forming another Beatles tribute band called Abbey Road Forever. On the one hand, getting together with a musician who has already studied and played Beatles songs means there are no big surprises. On the other hand, WannaBeatle David is a fine singer, so there are vocal parts to work out, along with a wide range of intangible factors that make a band what it is. 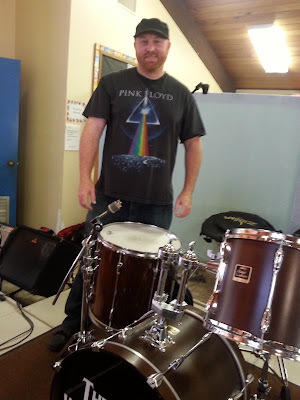 Here's what we discovered: John is fine, both as a drummer and as a person who is easy to get along with. Not only that, he's a songwriter and singer, with a Lennonesque quality to his voice, lyrics and melodic ideas. 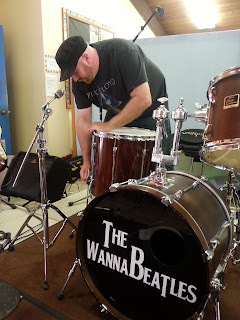 But, of course, he's not David, and there was never any question that while David was gone, The WannaBeatles were missing our essential drummer, who has developed a special role that cannot be replaced. Still, we are grateful to John, who did a fine job on very short notice. 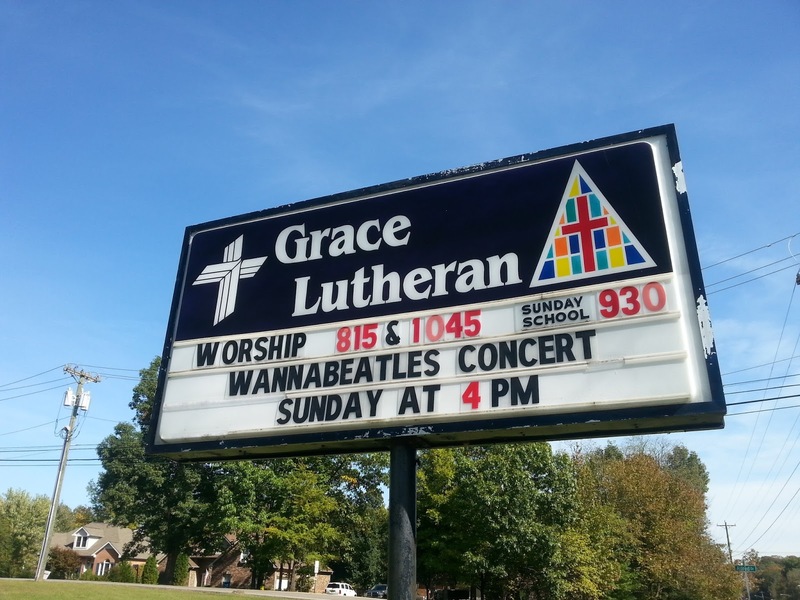 The Sunday afternoon show, October 11, was at Grace Lutheran Church in Clarksville, a church with an unusually active concert season. 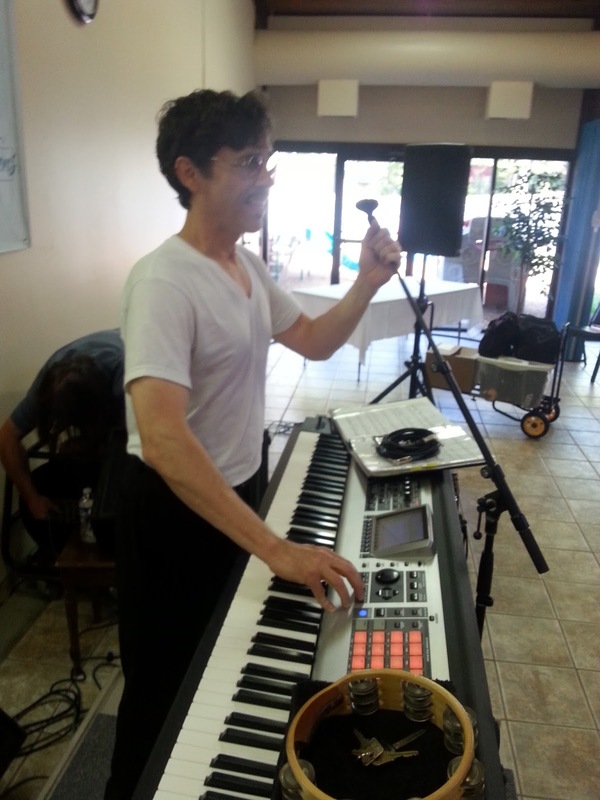 There was no time for a rehearsal. There was barely time to contact John and work out a plan, where he would play David's drum kit, so he could leave by 5:30, because he needed to get to Printer's Alley in downtown Nashville in time for another gig that started at 7 pm. So Dennis crafted a setlist that would minimize any confusion between Beatles songs John would know and quirky parts and transitions The WannaBeatles had developed over years of creating our own show of Beatles songs. To play with a new drummer is a nervous experience for any band, especially when that very first song you play together is the beginning of a set in front of a paying audience. But John's experience and professionalism gave us a very solid foundation, and we were able to charm our Sunday afternoon audience with 75% of a full WannaBeatles show. 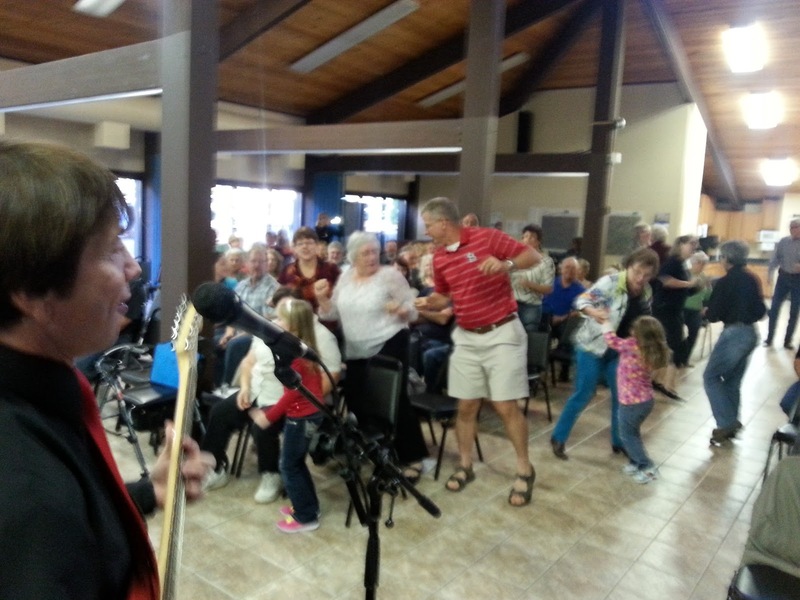 They even got up and danced, which is a relatively extravagant endorsement in a Lutheran church. Seeing those people dancing really made us feel like we had not only survived but triumphed in a difficult situation. John played our show, then took off for his other gig, leaving us three remaining WannaBeatles to breathe a collective sigh of relief. We called David on the phone to let him know we missed him. And then, five days later, with David still in Florida, we played the gig already scheduled at Puckett's Grocery in Franklin. Again, John came through for us, this time bringing his own drum kit, and learning some vocal parts to fit into the unique WannaBeatles sound. And again, we made it through the gig. Sorry I have no photos from that night. 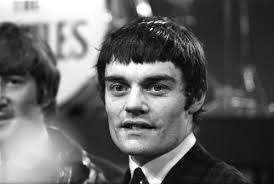 Back in 1964, Jimmy Nichol played with the Beatles, made some good money, enjoyed the thrill, then went on with his life, expecting to capitalize on his momentary fame. According to Wikipedia, "Nicol had hoped that his association with The Beatles would greatly boost his career but instead found that the spotlight moved away from him once Starr returned to the group. His subsequent lack of commercial success led him into bankruptcy in 1965." Jimmy Nichol's time with The Beatles became a sad tale of disappointment. The WannaBeatles have worked hard to avoid the level of fame that made The Beatles's lives so crazy. And because of that, we can safely say that John Salaway will suffer no such letdown after his two glorious gigs with us. You're welcome, John! And thanks for playing with us! It was fun. 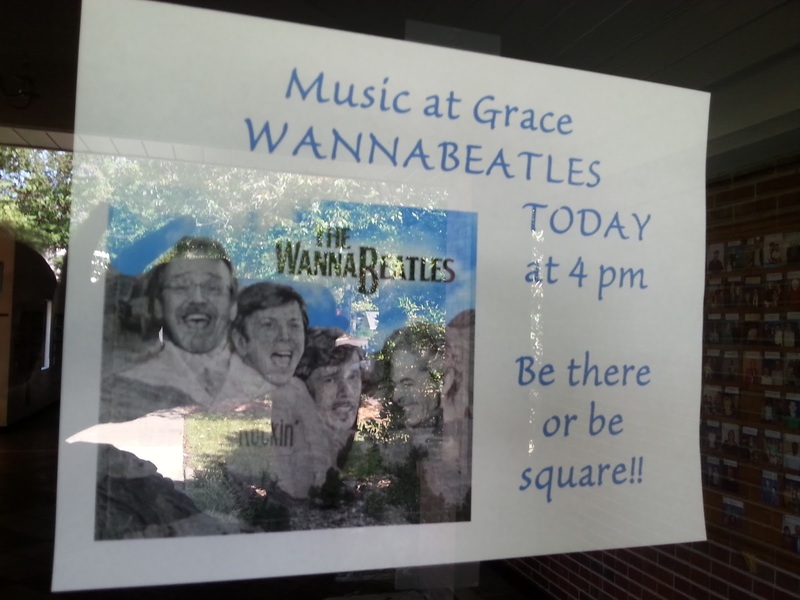 And welcome back, WannaBeatle David!